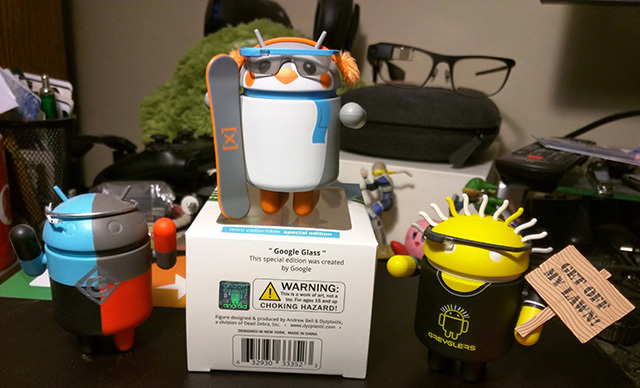 You think you've seen it all but no, here is an Android toy figurine for the defunct Google Glass in the form of a Penguin with a skate board. Oh this touches on so many things at Google. The main touch point for most of us here is the Penguin aspect, then Google Glass, then Android and then maybe the skate board aspect, but for sure, an Android Penguin figurine - really? Ivan Yudhi shared this photo on Google+.